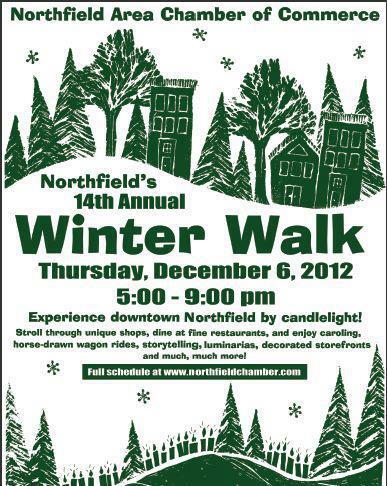 Perhaps the most beloved of all of Northfield’s community events, Winter Walk, returns for the 15th year. Organized by the Chamber Retail Committee and sponsored by Northfield businesses, it’s an opportunity to enjoy downtown, family and friends, by the light of luminarias. …and maybe the weather will climb high into the teens.